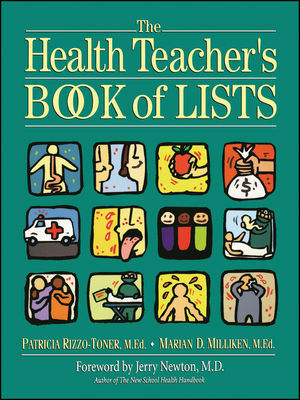 In short, The Health Teacher's Book of Lists provides an unparalleled, all-in-one reference tool packed with information and ideas that will save hours of research and preparation and help enliven and enrich both the teaching and earning of health. Patricia Rizzo-Toner, M.Ed., has taught health and physical education in the Council Rock School District in Newtown, Pennsylvania, for 25 years. She is author of the six-unit series Just for the Health of It! 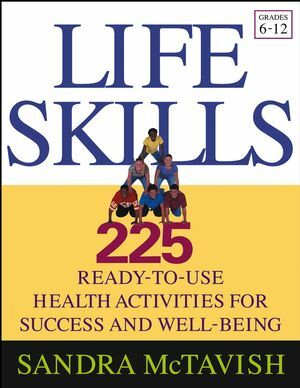 Health Curriculum Activities and How to Survive Teaching Health (1990) as well as practical P.E. teaching resources. Marian D. Milliken, M.Ed., health and physical education teacher for over 20 years in the Council Rock School District in Newtown, Pennsylvania, is advisor to a 900-student S.A.D.D. chapter, a member of the Student Assistance Team, and received the Patricia Chamberlain Award for Excellence in the field of health and physical education. Section 1: Systems of the Body. Section 3: Diet and Nutrition. Section 5: First Aid and Safety. Section 6: Diseases and Disorders. Section 7: Sexually Transmitted Infections, HIV, and AIDS. Section 9: Pregnancy and Childbirth. Section 10: Relationships and Communication. Section 11: Stress Management and Self-Esteem. Section 14: Aging, Death, Dying, and Suicide.